The Democratic party has turned the US into a banana republic where we politicize our justice dept and FBI to rig a US election. The goal of the Democrats is not in any way shape or form to benefit this great country, it is only to obtain and maintain absolute power!!! That is very obvious! Only the complicit and the very stupid don’t see this!! During an interview with CNN’s host Dana Bash on Sunday, President Trump’s lawyer Rudy Giuliani lashed out at former Director of National Intelligence James Clapper and former CIA Director John Brennan when asked if he thought they were part of a “deep state” conspiracy against President Trump. Trump and his allies have accused the “deep state” of trying to undermine his presidency, especially as it relates to the Russia investigation. “Deep state” refers to a group of unelected government or military officials who secretly try to influence national policy. “They are not civil servants as far as I know,” Giuliani said of the former Obama administration officials. “Really? All those decades of service?” CNN anchor Dana Bash asked Giuliani. “There are a lot of people with decades of service, some good, some bad. Some get consumed with power and begin to lie,” Giuliani responded. Rudy Giuliani is right! Corrupt subversive lying clowns…INDEED. 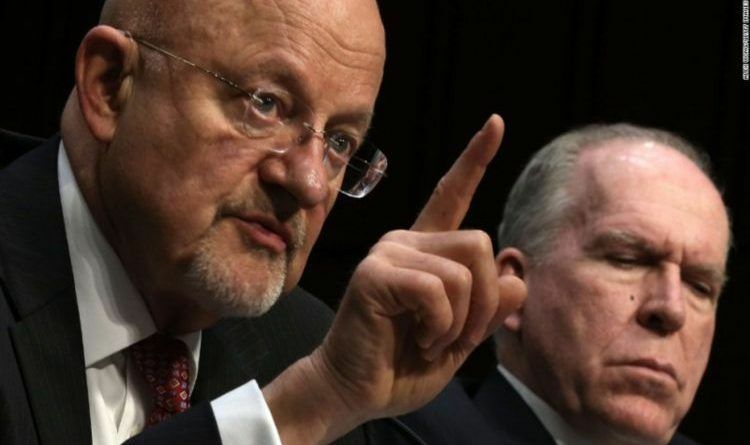 Brennan and Clapper certainly have their own secret agenda that is not beneficial to our country. They are proven LIARS doing crimes against this country. They were committing Felonies, and where is their investigation? It’s about time they start investigating the real criminals. Do you agree with Giuliani? Hollywood Actress Sends Warning To Fellow Elites That ICE May Soon Come For Their Housekeepers, Nannies And Landscapers – Immediately Regrets!